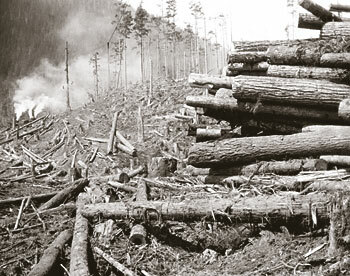 Logging and lumber production was, and still is, a mainstay of the British Columbia economy. 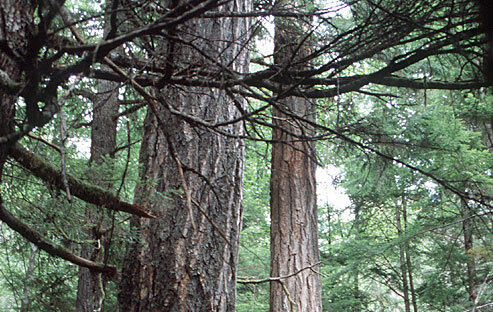 The Douglas-fir forests of British Columbia's south coast were the source of much of the province's early timber. Almost all the original forests have been cut. 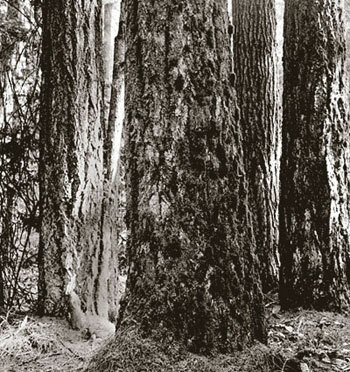 Douglas-fir forests were a mainstay of the logging industry. BC Archives NA-06154. 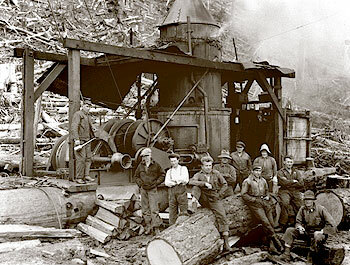 Douglas-fir logs fed the coastal forest industry's huge sawmills. Fallers at work. BC Archives F-02061. Steam donkey engine used for hauling logs, International Timber, near Campbell River, 1926. BC Archives D-04843. Fallers using double-bitted axes made the undercut. 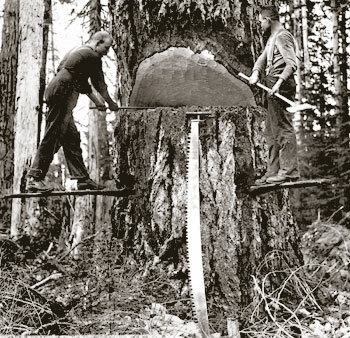 The long crosscut saw cut the tree from the other side, and the tree toppled in the direction of the undercut. Logging at Harrison Lake. Steam donkeys in operation on the left, 1930s. BC Archives F-08686. 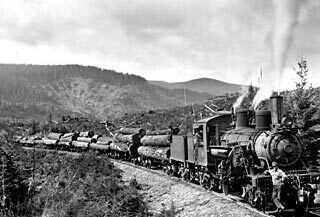 A trainload of logs, Industrial Timber Mills, at Lake Cowichan, 1946. BC Archives E-02889.